1. Front End Product – This is the main product which your customers will see in the first instance. Upon successful purchase of this product, your customer will move forward in the sales funnel. 2. Upsell Product – Upsell product is described as the subsequent product in the sales funnel which the customers will see (after redirection) after the purchase of Front End Product. 3. 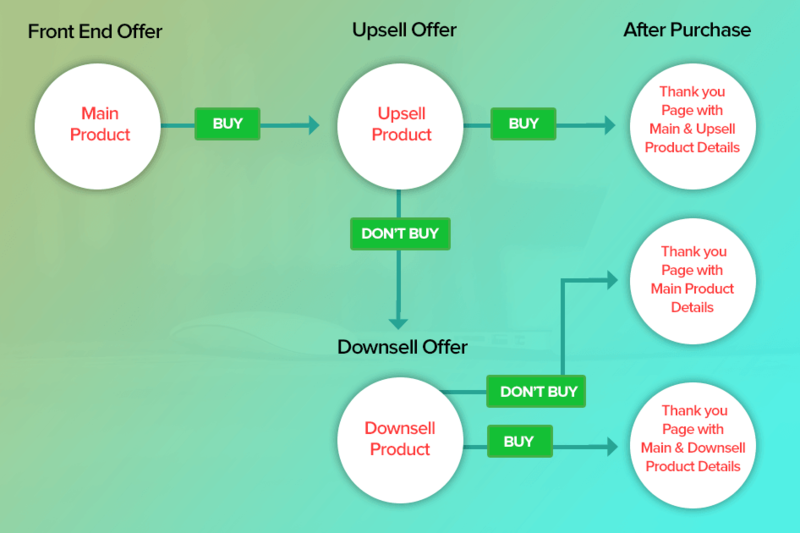 Downsell Product – After the purchase of Front End Product, the customer will land on the Upsell Product. If he/she decides to purchase the Upsell Product, then he will move forward in the funnel. Similarly, if he decides to skip the Upsell Product then he may get redirected to the next product, labeled as Downsell Product. 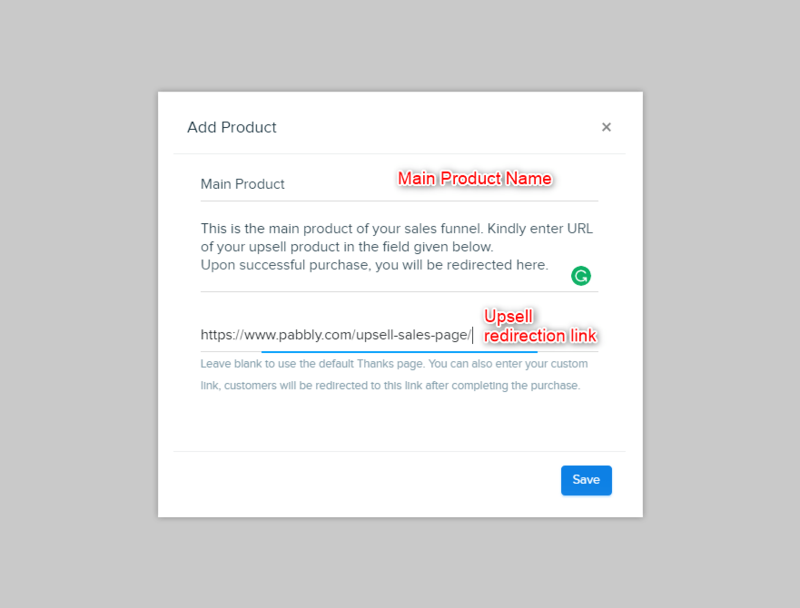 After successful login in your Pabbly Subscriptions account, you have to create multiple products for your sales funnel. Go to Pabbly dashboard and click on Create Product → Add New Product. 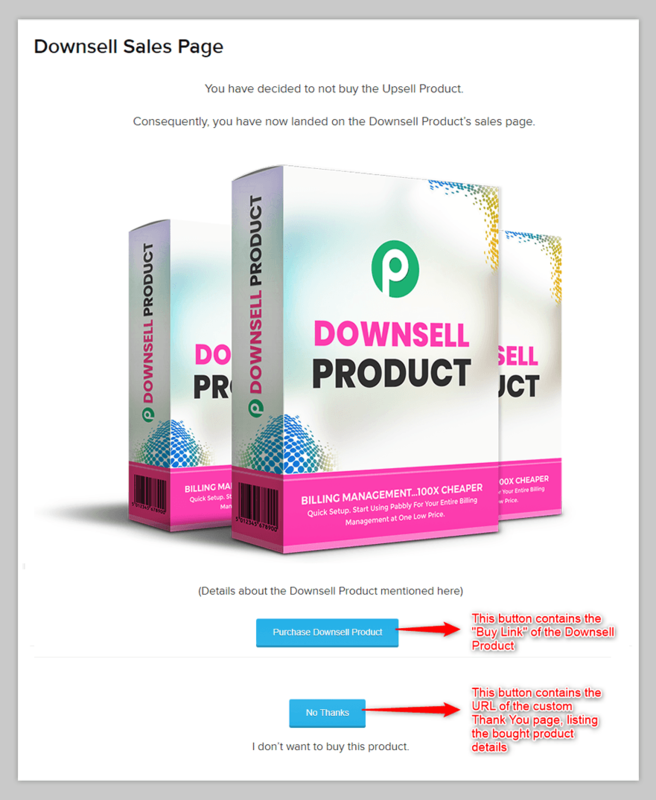 In the product description pop-up, enter the upsell redirection link. 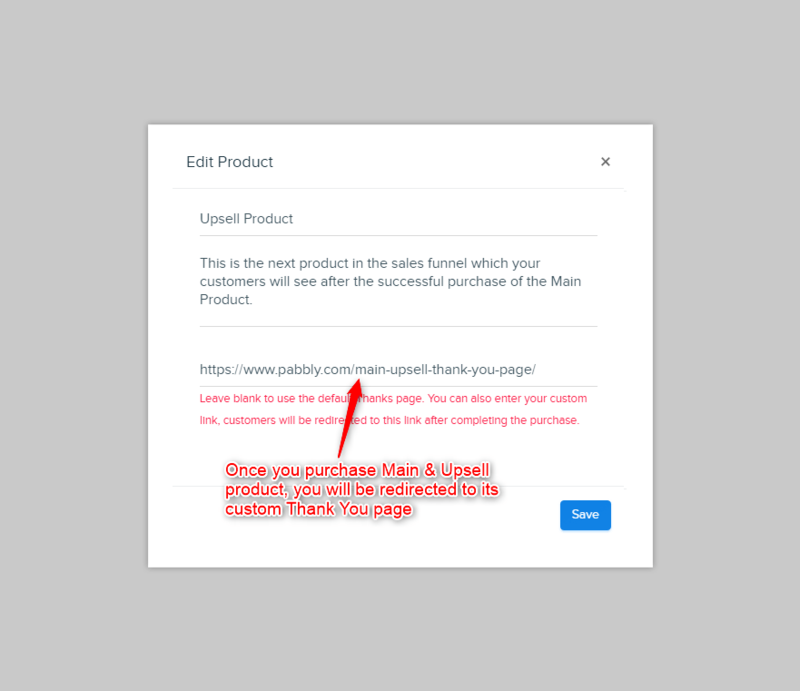 This means th at, if your customers purchase the Main Product, he will be redirected to the Upsell Product automatically. Follow the same steps as step 1 and create an Upsell Product. Same steps as step 2 should be followed to create a Downsell Product. Once the products and their plans have been created, you now have to customize their respective sales (product description) pages by adding “Buy Links” and “No Thanks” link. 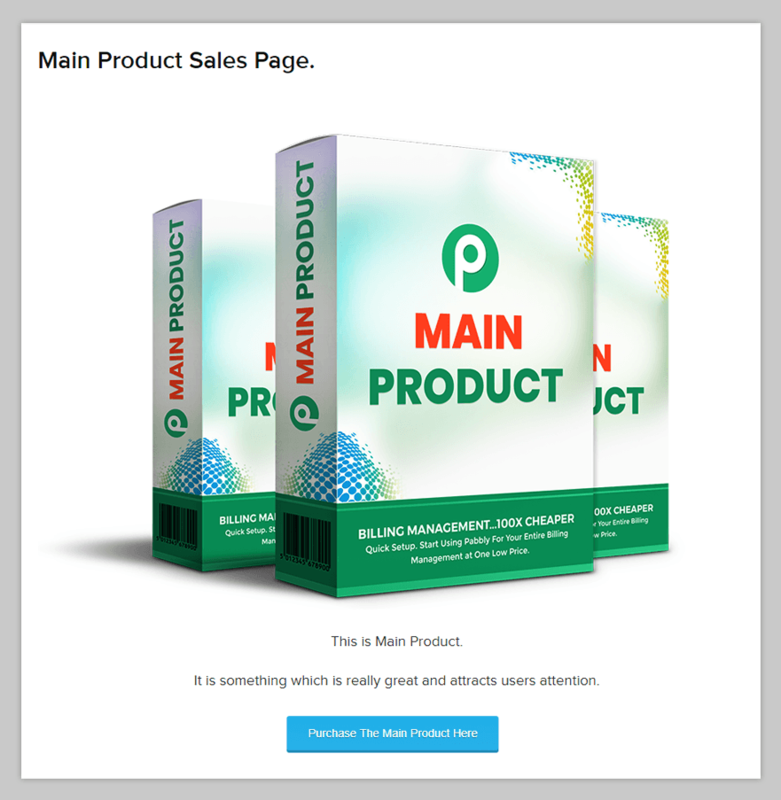 The first step of the fully functional sales page begins with the addition of the “Buy Link” of the Main Product on its sales page. You can fetch the “Buy Link” of the Main Product by following the path – Products → Main Product → Copy Link. Firstly, you have to create a new webpage for your Upsell Product and in that, you have to add “Purchase Link” and the “No Thanks” link (redirection link) of the Downsell Product’s sales page. 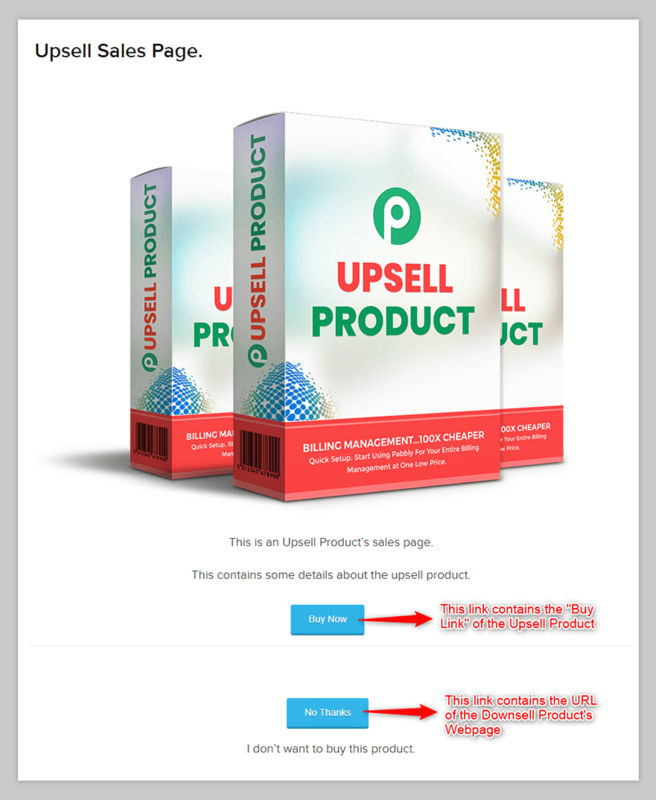 You can get the “Buy Link” of the Upsell Product by following the path – Products → Upsell Product → Copy Link. The “No Thanks” link is the URL of the Downsell Product’s webpage. The final step to complete the sales funnel is to add the “Buy Link” of the Downsell product. You can fetch the corresponding Buy Link by the following path – Products → Downsell Product → Copy Link. Once you have completed these steps, your sales funnel is ready and fully functional. Now that your sales funnel is set up in the Pabbly account, it’s time for you to put your sales funnel in the active mode. In this first scenario, customer lands on the Main product and decides to purchase it. He then goes to the checkout page of the product and makes the payment. Since we have added the custom redirect URL upon successful payment of the Main product, the customer will be automatically redirected to the sales page of Upsell product. There, the user again purchases the Upsell product and finally completes the sales funnel flow at the Custom Thankyou page. This scenario again starts with the customer purchasing the main product, followed by redirecting to the Upsell product’s sales page. On the Upsell sale page, the customer has the option to either purchase the Upsell product or to skip it and go to the Downsell product’s sales page. 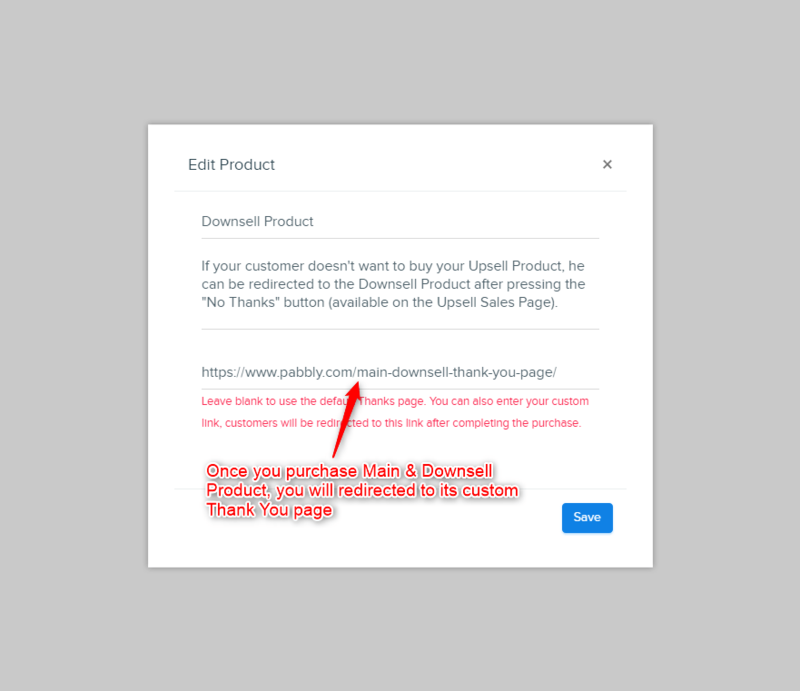 Now, after skipping the Upsell product and landing on the Downsell sale page, the customer purchases the Downsell product and completes the sales by redirecting to the Default Thankyou page of the product. The scenario starts with the customer purchasing the main product, followed by redirecting to the Upsell product’s sales page. On the Upsell sale page, the customer skips to either purchase the Upsell product and decides to go to the Downsell product’s sales page after clicking on the “No Thanks” button. Now, after skipping the Upsell product and landing on the Downsell sale page, the customer again skips the Downsell Product and finally ends up on the Custom Thankyou page (of Main Product). These are the likely scenarios and their workflow.